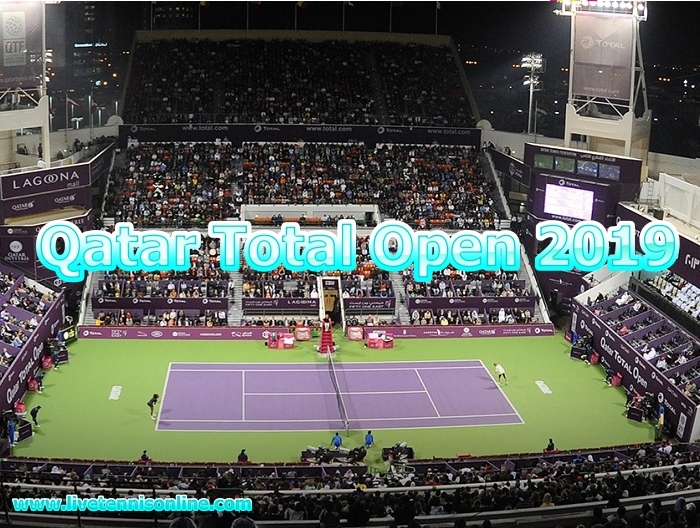 The most exciting WTA Qatar Total Open 2019 tennis tournament will take place at Khalifa International Tennis and Squash Complex in Doha, Qatar. The Qatar Total Open 2019 is a premier level women’s tournament it will commence from 11-16 February 2019 and will be played on hard court. The champion of this event will take $158,895. In this premier event world big tennis players who are taking part including, Karolina Pliskova, Simona Halep, Angelique Kerber, Kiki Bertens, Elina Svitolina, Caroline Wozniacki, Ashleigh Barty, Anastasija Sevastova and more. The Wang Qiang, Madison Keys and Australian Open winner Naomi Osaka will not play in this competition, whereas Wozniacki and Svitolina are wildcard participants. In the last year event defending champion and 2019 Australian Open finalist, Petra Kvitova will not play in this competition. Don’t forget to watch Qatar Total Open 2019 tennis live streaming on your smart devices and enjoy our service across the globe.